Located in Cairns QLD, enVizion is the only Aboriginal and Torres Strait Islander run training provider in the region. The aim of the group is to break the generational unemployment cycle with specialised pre-employment, mentoring and training programs. enVizion’s culturally tailored approach and creative use of technology have allowed the organisation to break down many of the employment barriers faced by their community. 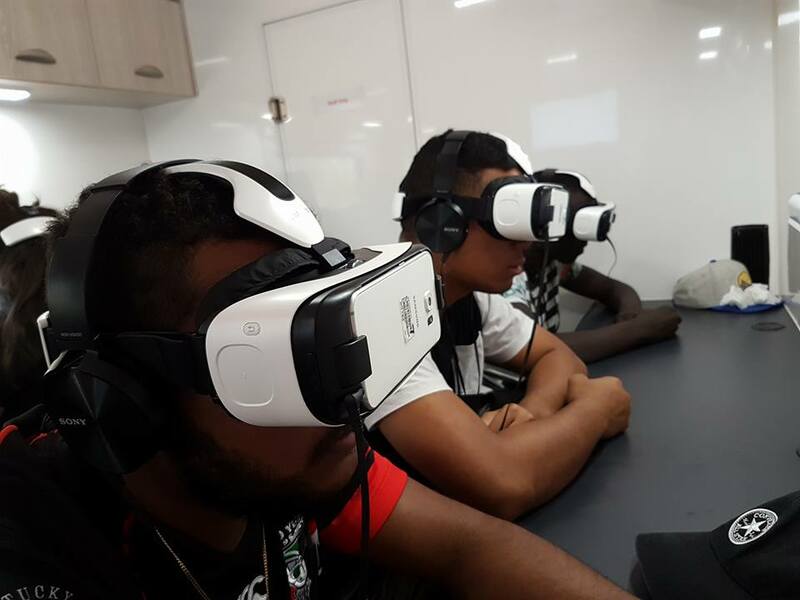 Some of their clever ideas include a virtual reality bus which drives to remote communities to offer a ‘real view’ of potential job opportunities; a literacy and numeracy program that incorporates images of the learner’s own interests; and a therapeutic program that works through a person’s issues long-term, ensuring they are better prepared for the future. Recently, enVizion was looking to grow and develop so they could help more people with their programs. To achieve their goal they needed assistance accessing further funding. enVizion approached ICV for help, and we were thrilled to continue our partnership which started back in 2013. ICV volunteer Marybeth worked with the enVizion team on writing grant submissions. And by training staff in the process, she’s passed on valuable skills which will allow them to write their own submissions in the future. Already enVizion has been awarded a major grant, allowing the organisation to recruit six new staff members. The flow-on effect of enVizion’s growth will be training and employment opportunities for thousands of Aboriginal and Torres Strait Islander people. “Marybeth has been invaluable. Our organisation is growing in capacity, including staff members and program delivery for people,” said enVizion CEO Julie-Ann Lambourne.